How to install XDM 2015 Xtreme Download Manager - The IDM For Linux alternative. This is ont of the best internet download manager for Linux. How to install XDMan also short review about it read here! If you have familiar with IDM (Internet Download Manager) which is available for Windows, now you can install IDM for Linux alternative called XDM or XDMan (Xtreme Download Manager). XDMan is a powerful tool to increase download speed up-to 500%, save videos from video sharing sites and integration with ANY browser. XDMan Features: Superfast speed Save video from any website, Supports any browser, Runs on any Operating system and Free, No-Adware and also Open source. XDM can download FLV videos from popular sites like YouTube, MySpaceTV, and Google Video. XDM supports all popular browsers including IE, Chrome, AOL, MSN, Mozilla, Netscape, Firefox, Avant Browser, and many others on Windows, Linux and OS X. XDM can be integrated into any Internet application to take over downloads using unique "Advanced Browser Integration" feature. XDM can accelerate downloads by up to 5 times due to its intelligent dynamic file segmentation technology. Unlike other download managers and accelerators XDM segments downloaded files dynamically during download process. XDM will resume unfinished download from the place where they left off. Comprehensive error recovery and resume capability will restart broken or interrupted downloads due to lost or dropped connections, network problems, computer shutdowns, or unexpected power outages. XDM 2015 for Linux has changed on interface, more beautifier and powerfull. This is the best software for internet download manager subtitute to IDM. We recommend this! 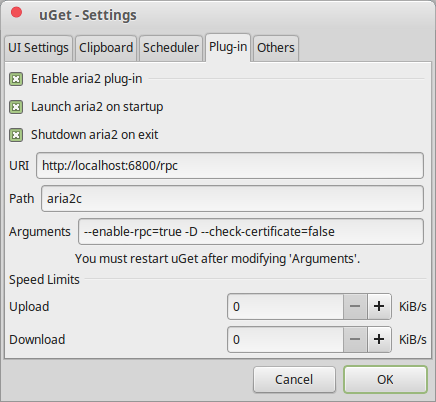 uGet + Aria2 Powerfull Download Manager for Linux. This download manager for Linux comes from uGet combined with Aria2 plugin, how to install uGet download manager and how to configure Aria2 plugin for uGet will be explained here. aria2 is a lightweight multi-protocol & multi-source command-line download utility. It supports HTTP/HTTPS, FTP, SFTP, Metalink. aria2 can be manipulated via built-in JSON-RPC and XML-RPC interfaces. aria2 can download a file from multiple sources/protocols and tries to utilize your maximum download bandwidth. Really speeds up your download experience. How to use aria2 from Terminal simply type aria2c followed by the destination of the URL to download. 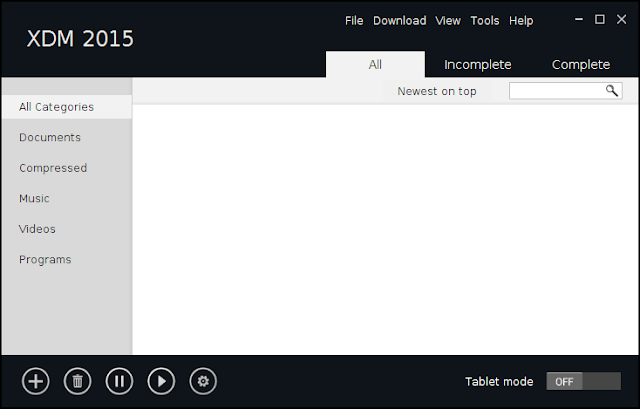 Now you can open uGet download manager after install by clicking Start/Menu >> Download >> Internet >> uGet and the uGet Window will appear such as image above. uGet is good for direct download to downloading any file on the server. You can boost it up using Aria2 plugin for high performance download speed. This linux software for downloading file is recommended for you who are loving to download from internet. DownThemAll Best Download Manager for Linux Lightweight. Thi is the best IDM for Linux which can become Internet Download Manager replacement program. This will guide how to install DownThemAll in Linux and how to use DownThemAll in Linux easily with its review. DownThemAll is a plugin or Add-ons for Mozilla Firefox or an extension for Chromium and its derivative such as Google Chrome, Maxthon for Linux, Iron Browser and many more. 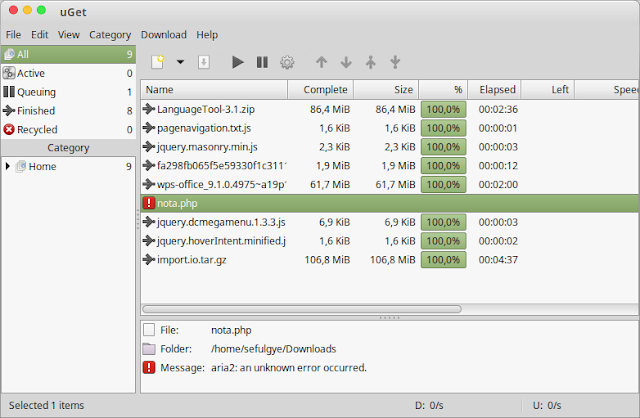 DownThemAll is intended to replace IDM the Internet Download Manager program for Linux. With DownThemAll you will have the main features of IDM in many operating system platform start from Linux, Windows and Mac. To install DownThemAll in linux depend on your internet browser. Visit DownThemAll website and it will automatically select plugin for your browser. Another install option from Mozilla Adds-on here. Once you have installed the DownThemAll you can start using it by right clicking the URL of download the select Start saving Link with d'Ta OneClick! DownThemAll is most lightweight GUI for Internet Download Manager software in Linux, it combine simplicity and the power of download. It becomes lightweight because it is not stand alone program but it is a plugin, add-ons, or extension for your browser. Enjoy the IDM for Linux using DownThemAll for free open source. The best download manager for Linux called XDMAN or Extreme Download Manager. With XDMAN you can download with high speed download priority like Internet Download Manager but in Linux. On the official website, XDMAN claimed that: Xtreme Download Manager is a powerful tool to increase download speed up-to 500%, resume broken/dead downloads, capture FLV videos from any site and schedule downloads. After downloading XDMAN then you have to install your software. Execute your .bin file that you have downloaded before. Double click the file and the installer will appear. Click Install Package and wait until it finished! Now you can download files with maximum possible speed, capture FLV video from any site, integrates with Firefox, Chrome, IE, Opera, Safari or any other Browser.